Thomas Edward "Tom" Hulce (/ˈhʊls/; born December 6, 1953) is an American actor and theater producer. As an actor, he is best known for his role as "Pinto" in Animal House (1978), his Academy Award-nominated portrayal of Mozart in Amadeus (1984), and as the voice of Quasimodo in Disney's The Hunchback of Notre Dame (1996). Additional acting awards included four Golden Globe nominations, an Emmy Award, and a Tony Award nomination. Hulce retired from acting in the mid-1990s to focus on stage directing and producing. In 2007, he won a Tony Award as a lead producer of the Broadway musical Spring Awakening. Hulce was born in Detroit, Michigan (some sources incorrectly say Whitewater, Wisconsin). The youngest of four children, he was raised in Plymouth, Michigan. His mother, Joanna (née Winkleman), sang briefly with Phil Spitalny's All-Girl Orchestra, and his father, Raymond Albert Hulce, worked for the Ford Motor Company. As a child, he wanted to be a singer, but switched to acting after his voice changed in his teenage years. He left home at the age of 15 and attended Interlochen Arts Academy and the North Carolina School of the Arts. Hulce made his acting debut in 1975, playing opposite Anthony Perkins in Equus on Broadway. Throughout the rest of the 1970s and the early 1980s, he worked primarily as a theater actor, taking occasional parts in movies. His first film role was in the James Dean-influenced film September 30, 1955 in 1977. His next movie role was as freshman student Lawrence "Pinto" Kroger in the classic comedy Animal House (1978). In 1983, he played a gunshot victim in the television show St. Elsewhere. In the early 1980s, Hulce was chosen over intense competition (which included David Bowie and Mikhail Baryshnikov) to play the role of Mozart in director Miloš Forman's film version of Peter Shaffer's play Amadeus. In 1984, he was nominated for an Academy Award for Best Actor for his performance, losing to his co-star, F. Murray Abraham. 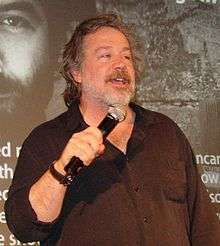 In his acceptance speech, Abraham paid tribute to his co-star saying "there's only one thing that's missing for me tonight, and that is to have Tom Hulce standing by my side." In 1989, he received his second Best Actor Golden Globe Award nomination for a critically acclaimed performance as an intellectually challenged garbage collector in the 1988 movie Dominick and Eugene. He played supporting roles in Parenthood (1989), Fearless (1993) and Mary Shelley's Frankenstein (1994). In 1988 he played the title part in the British-Dutch movie Shadow Man directed by the Polish director Piotr Andrejew. In 1990, he was nominated for his first Emmy Award for his performance as the 1960s civil rights activist Michael Schwerner in the 1990 TV-movie Murder in Mississippi. He starred as Joseph Stalin's projectionist in Russian director Andrei Konchalovsky's 1991 film The Inner Circle. In 1996, he won an Emmy Award for his role as a pediatrician in a television-movie version of the Wendy Wasserstein play The Heidi Chronicles, starring Jamie Lee Curtis. Also that same year, he was cast in Disney's animated film adaptation of The Hunchback of Notre Dame, where he provided both the speaking and singing voice of the protagonist Quasimodo. Although Hulce largely retired from acting in the mid-1990s, he had bit parts in the recent movies Jumper (2008) and Stranger Than Fiction (2006). Hulce remained active in theater throughout his entire acting career. In addition to Equus, he also appeared in Broadway productions of A Memory of Two Mondays and A Few Good Men, for which he was a Tony Award nominee in 1990. In the mid-1980s, he appeared in two different productions of playwright Larry Kramer's early AIDS-era drama The Normal Heart. In 1992, he starred in a Shakespeare Theatre Company production of Hamlet. His regional theatre credits include Eastern Standard at the Seattle Repertory Theatre and Nothing Sacred at the Mark Taper Forum, both in 1988. Hulce produced two major projects: the six-hour, two-evening stage adaptation of John Irving's The Cider House Rules; and Talking Heads, a festival of Alan Bennett's one-man plays that won six Obie Awards, a Drama Desk Award, a special Outer Critics Circle Award, and a New York Drama Critics' Circle Award for Best Foreign Play. He also headed 10 Million Miles, a musical project by Keith Bunin and Grammy Award-nominated singer-songwriter Patty Griffin, that premiered in Spring 2007 at the Atlantic Theater Company. Hulce was a lead producer of the Broadway hit Spring Awakening, which won eight Tony Awards in 2007, including one for Best Musical. He is also a lead producer of a stage adaptation of the Green Day album American Idiot. The musical had its world premiere in Berkeley, California, at the Berkeley Repertory Theatre in 2009 and opened on Broadway in April 2010. He also produced the 2004 movie A Home at the End of the World, based upon Michael Cunningham's novel. 1978 Lawrence "Larry" Kroger, aka "Pinto"
↑ "The New Netherland Ancestors of Thomas Edward Hulce". Freepages.genealogy.rootsweb.ancestry.com. July 27, 2002. Retrieved December 5, 2013. ↑ "William Holden, Patrick Swayze, and Tom Hulce: their cousinship with Jean Margaret (Kennedy) Mitchelson through the Betts family". Cybrary.uwinnipeg.ca. Retrieved December 5, 2013. ↑ "Playing Ordinary Man Difficult for Hulce", Charlotte Observer, December 11, 1988. ↑ Amadeus Reinvents Himself, Playbill, December 5, 2006. 1 2 "Tom Hulce at". Filmreference.com. Retrieved December 5, 2013. ↑ amctv.com. "AMC Movie Guide". Movies.amctv.com. Retrieved December 5, 2013. ↑ "Regional Theater Finds a Winner: 'Nothing Sacred' Is the Play of the Year Although It's Never Received the Broadway Stamp of Approval". Los Angeles Times, October 16, 1988. ↑ The Broadway League. "Internet Broadway Database". Ibdb.com. Retrieved December 5, 2013. ↑ Username: *. "Washington Theatre Guide | TheatreWashington | Helen Hayes Awards | Your Ticket to Washington Theatre". Helenhayes.org. Retrieved December 5, 2013. "Tom Hulce at Filmreference.com". Retrieved July 11, 2010.